RockHardMom | This blog is about the struggles in raising a TCHD plus PDD-NOS child in Pakistan with all its highs and lows!! This blog is about the struggles in raising a TCHD plus PDD-NOS child in Pakistan with all its highs and lows!! She has PDD-NOS, you know Pervasive Development Disorder Not Otherwise Specified. Ummm, it’s like high-functioning Autism. Yes it’s a milder form of Autism. These are some of the ways I try to explain my daughter’s diagnosis to anyone who asks ‘what issue(s) does your daughter have?’. Upon hearing this some people try to act concerned, some random people show pity, but most of the therapists and moms affected by Autism say ‘But she doesn’t look that Autistic!’. Autism, PDDNOS, ASD are but just labels. Just as we all have labels in the form of names to distinguish one from the other, we have labels in the form of caste, creed, nationality, professions etc, specific types of behaviours are grouped together and given a label so as to help the therapists set the course of therapies for a given child. They mean nothing more than that. They also help parents to explain their child’s condition in a single word. Many new parents get concerned when their child is first diagnosed as being mild, moderate or severely autistic. Their world come crashing down and they feel helpless, vulnerable and crushed. So here’s what I have to say to all those parents. These assessments are heavily based on the parent’s ability to correctly answer questions related to the child’s day to day behaviour, which in most cases is biased. Secondly these assesstments test a child’s IQ, his academic skills, his behavior at the time of assessment, while not taking into consideration that the child in question might not have had a sound sleep the past night, he might have had eating disorders due to which he had to be taken for assesstment empty tummy, he might have become restless due to the commute, the overall waiting time. So by the time a child enters the assessment room he might by groggy, moody, sleepy, hungry, agitated, and anything in between. He might not behave the way he normally does, he might not answer even to those questions and concepts his mom spent countless hours teaching. And there might be some questions and concepts for which the child wasn’t prepared, was never taught; that doesn’t mean the child lacks learning abilities. For example, my daughter was asked to read a sequence of 4 numbers, then write it down from memory. She was asked if the sky is blue, then the grass is_______? She was asked to repeat a very long sentence after hearing it. She messed up in these areas only because I had never taught her sequences and correlations. And she already has speech difficulties and can hardly string 4 or 5 words to form a sentence. Anyhow such sort of questions became the basis for her ‘moderate to severe diagnosis’. It took me only a couple of lessons and my daughter could answer most of the questions on her own. ‘White’, She replied on her own . I asked her , ‘ If Yusra(herself) is a girl, then Mustafa (her lil bro) is a ____? You see my point! These assessment results are heavily skewed and biased. Dont spend your precious time trying to find an appropriate accurate diagnosis for your child, instead focus on his/her weaknesses and work together to overcome those weaknesses through extensive therapies. Get an IEP (Individualized Educational Plan) made and follow it. Let your child define the course of learning. Having a child with Total Colonic Hirschsprungs Disease (TCHD) who still wears a colostomy bag, means we end up with a lot of ostomy supply boxes which go to trash every month. Since I am a big DIY fan and love to reuse every piece of material to create teaching resources, here’s my solution to reusing these ostomy boxes to create flashcards for my daughter who happens to be on the Autism Spectrum. Kids on the Autism Spectrum are usually visual learners, so I rely heavily on visual resources to teach my daughter different concepts. Urdu (our mother tongue) is one area we lag behind in. Although there are Urdu alphabets flash cards available in the market and I have those but now we are learning to join those alphabets to form syllables and words. We have the book but learning from a book is both boring and creates anxiety for my girl. So I made these flashcards as can be seen from the picture above. These are syllables which can be joined with other syllables and alphabets to form proper words. Easy peasy and so cheap! Allah helps those who help themselves! In one of my previous blog posts I discussed about standing on point 1 with regards to my daughter’s therapies. She was 08 months old when diagnosed with and operated for Total Colonic Hirschsprungs Disease, and 3.5 yrs old when diagnosed with Autism Spectrum Disorder. We were on point 0 at that time where she had no eye contact, barely any speech, and no attention and sitting span. She might have some stereotypical behaviours but since we knew nothing about Autism, those could’ve passed by as peculiar infant behaviours and we didnt know that we needed to worry about any such behaviour. After aggressive therapies, 2 yrs later she came to point 1 where she could label things, give eye contact, listen to and act upon commands, and her attention and sitting span improved. We did a mix of preschool and speech and remedial therapies at point 1. While her social interaction is one area she still lags behind but a lot of things have improved. She has graduated from Kindergarten, yayyy! Now a days we are working towards reaching point 2. These goals just give a rough idea of what we are hoping to achieve. From a time where Y could only ask for a thing through pointing, we have come to a point where she can express herself verbally. If she doesnt feel good, she asks for a medicine or to go to a doctor. If she’s feeling cold, she says ‘it’s cold’ or ‘A/C off’. If she’s hungry she asks for food or milk. More recently she has started using complements like ‘it’s beautiful’ or ‘it’s cute’ . When the sun pops up and she gets up before me, she would come up to me and say things like ‘ mama wakeup’ ‘sun aa gaya ‘( sun has come up) ‘moon chala gaya (moon has gone), ‘good morning’ , all in an attempt to make me understand that its time to leave the bed. She even has started greeting people of her choice (her dad and grand parents). We are doing a lot of ‘ wh’ questions like Who? Where? and What? in an effort to improve her understanding of things. From answering in one word we have moved to answering in phrases and sentences. She needs to know everyone we meet by their names, an aunt or uncle for everyone doesn’t suffice. This intrigued one mom during one such therapy session when Y was addressing her therapist by name. That mom asked me in wonder ‘ does your daughter recognize people?’ To her I replied ‘Yes’ with a smile. Recognising everyone in the family and the therapists with their names is one thing Y never had difficulty with. This is a slow process but I have all the time in the world to bring a positive change in my daughter’s life! I’m in my thirties. Although I still have a long way to go but I’m old enough to safely say I have gathered enough memories – both good and bad – to last me a life time. I’m always overwhelmed by the fact that so much happens to a person in a lifetime. Every day there’s a new challenge, every person we meet gives us experiences, every year there’s a new addition to a family and/or a sad demise of a loved one or someone we’ve known. Somewhere I read or maybe it’s a line from a movie that every person we meet in life has a story and when two persons meet, their stories intersect and they also become a part of each other’s story. Their part maybe small but they do leave a long-lasting impact on each other. Being a very anti-social person that I am, I always thought that the friends I made in school would be the only friends I’ll ever have. When we used to visit our maternal side of family every winters, I always used to think life would always be like this, playing/ chatting away with cousins, meeting all of mom’s siblings and cousins, being crazy, carefree. Those were the days! Then we all grew up and some grew old. Relationship statuses changed. All friends and cousins got married, started their own lives. Our concerns have changed, priorities have changed, demography has changed and has it not been for Facebook, we wouldn’t even be aware about each other. Life as a whole has changed. Now when I open my whatsapp, there are five or six new groups of friends that I made over the years after graduating from college. Each one of them was/has been a part of my life. I’ve learned something from everyone and have lots of cherishable memories that I can look back at and smile with joy. Sometimes I feel as if I am living my life in chunks – childhood, adolescence, college, university, pre-marriage, post-marriage – with each chunk having some old characters (the constants in my life), some old characters that became distant and faded away over time and mostly new ones. It’s more like different episodes of a drama series. Whenever I meet or hear about any character from my past my mind instantly snaps back in that point in time where we met and it feels as if I’m physically transported back in time. Relationships are an important aspect of a person’s life. We can’t live in isolation no matter how hard we try or how much we want. To want the company of another human being is ingrained in our very genes. Whenever we are happy we instantly want to share our happiness with others, and whenever we are sad we can’t grieve alone. I’m usually very comfortable in my own company with my own thoughts but with the advent of the internet, I discovered a new me. I was never expressive in verbal communication, I shy away from social interaction even if it’s about talking on the phone. If Autism could be defined on one characteristic only then I would be termed as an Autist too. Some Autists who spent their lives being non-verbal gave voice to their thoughts through some form of written communication (through computers and special software’s). I too found a way of pouring down my thoughts through blogging, facebook and whatsapp. That’s the new, very interactive and vocal me most people know about. Recently I heard about a death of a distant relative. It saddened me obviously but more than that it left me with a strange feeling. I can’t really describe it! The memory of that relative belongs to my childhood and I’ve come a long way since then and so much has happened it feels unreal that that memory actually existed. I’m feeling really strange right now , looking at my own memories like a third person, an outside party, in total disbelief ! That I guess is the absurdity of life, when one chunk ends and we step into the next one, we disentangle ourselves from the previous chunk and act as if it never existed until someone or something from that chunk of life comes up and transports us back in time. Bear with me my friends, my mind right now is overflowing with memories and emotions that need to be let out to make space for new things. This blog post is just the first proof of my strange mind!! Consider a day, any day in your life. You plan your day in advance so that it can go smoothly and if anything unexpected comes along you usually have the ability to deal with it. For example, on an ordinary day you get up, take a bath, eat breakfast, get ready for school, university or office, have your means of transport all set and you go about your day as you had planned it. You follow this routine religiously throughout the week. What if on any day your car breaks down, you have only five minutes to decide how effectively you can commute to your work place before getting late. You might take a bus or a taxi or a lift from your friend. As adults we think up of ways to deal with contingencies. As parents we have many alternative plans because the number of contingencies increases in direct proportion to the number of kids one has. The thing is we plan for our entire family with kids having no idea how life is running so smoothly. We wake them up, make them eat breakfast, get them ready for school, teachers make them study, we set rules at home for play and study times and then finally we make them go to bed. Although they might not agree with our set routine but for their sanity and ours structure in life is important. During an ordinary day , our NT kids are not really bothered by changes in routine. If anything unexpected comes along they might question about it and are easily satisfied with our answers. Problem arises when our ASD kids meet with a change they knew nothing about. They don’t have any means to comprehend how come there was a change in routine and how to deal with it. As a result they become highly anxious which usually gives way to meltdowns. My daughter, for example, knows what to expect on an ordinary day, but if we make a plan of going out somewhere we have to prepare her in advance. She has to know whether we are going to her grandparents, or her aunt, or a shopping mall, or seaside etc. She knows the routes too so we cannot fool her. If Im getting ready to go somewhere without her, I have to tell her exactly where I am going , for example, market, hospital or a party and with whom she is going to stay (usually her Grandma or dad). But she has come a long way and is at a stage where she can be satisfied with verbal description of what to expect each day. Many ASD kids, especially those newly diagnosed, have no idea about set routines. In this post I will suggest a few ways in which structure can be added to their lives that will help both the kids and the parents like it helped me and many other ASD parents. For newly diagnosed kids picture schedules are a must have. Pictures are available online all you, as a parent, have to do is set up a valid routine that you are going to follow religiously for your kid. Get or make pictures for each activity of that schedule which is very easy to comprehend by the child and paste this schedule in a place that is easily visible to the child. These are just some examples of activities with which I started working with my daughter. Start with only two or three activities depending on your child’s level of cognition. Then add up activities one at a time up to five activities a day in work time. Give breaks between each activity and use reinforcers (candies, chips, m&ms, or favorite toy), and lots of verbal reinforcers ( high fives, good job, yay etc) to keep the child motivated. How to work with the child during the work time is a topic for another post. The purpose of this post was to show how schedules are setup to make life meaningful and easy for the ASD kiddos. There are a number of different schedules on the internet, especially Pinterest. Just type in picture schedules for Autism or PECS for Autism and your screen would start showing many pictures and schedules to choose from. Remember the important thing is to use the schedule religiously and after a while your ASD kiddo would’ve learned his/her daily routine by heart. I hope this post about setting up schedules for an ASD child were of help. 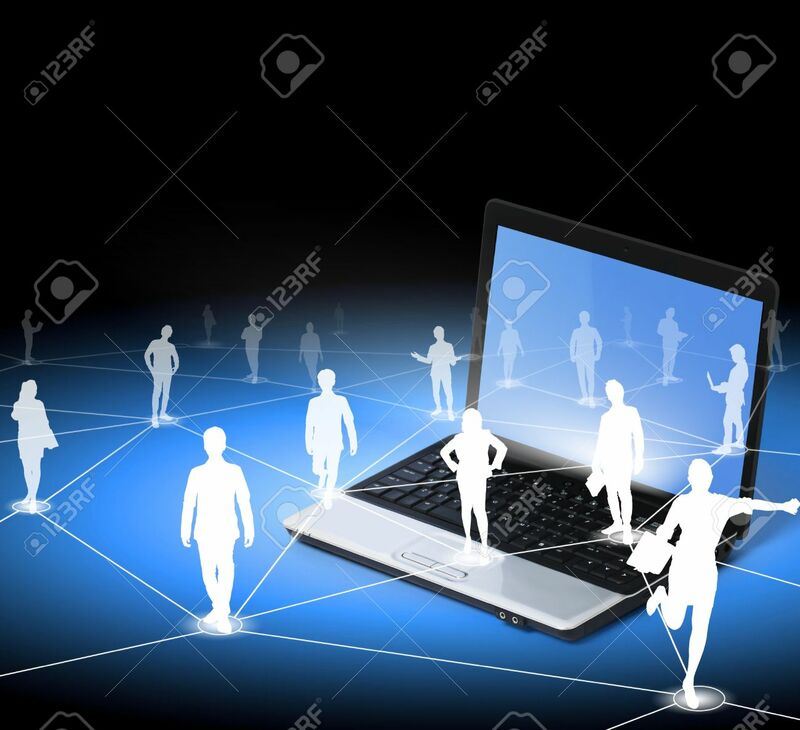 People have different reasons to log online to the World Wide Web but what I believe to be the beauty of the internet is the ease with which you can connect with just anyone around the globe based on shared interest and whip up a strong bond of friendship with people from different regions and ethnicities. It’s the world of technology where everyone hides behind their gadgets to live in virtual reality. While many debate that technology has ruined personal relationships among people (which I believe to be true) yet if the person sitting next to me is more comfortable communicating with his/her virtual friends than instead of wallowing about not giving me time I would indulge in some interest of my own. I consider myself a socially awkward person who cannot communicate effectively with just anyone so I hide behind the cyber world to get myself heard. And I enjoy that very much. The internet has helped me get in touch with not only Special Needs Moms but also other concerned care-givers from around the world and sharing my experiences related to Autism and TCHD with them and learning theirs has been a Wonderful experience. When I jumped on the Autism bandwagon I didn’t have anyone to turn to in my own community. I had no idea about who were the game changers in the field of Autism. One reason was I used to hide my daughter’s diagnosis. The frustration and depression kept on building inside me making me snide and irritable and very much negative. I’m not that person and even if I am I don’t want that side to wake up and engulf my present persona. One day things got too much for me and I let go. I created this blog and kept on posting for two three days and let it all go. I told my story to the world and felt thousand times better. I have always believed that whatever knowledge a person has it should be shared because there are others who are not courageous enough to talk about their issues due to social norms maybe or family pressure. There should be someone to stand for all such people. As I told earlier I’m a very bad conversationalist but I can pen down my feelings and thoughts and that’s what I have chosen to do. As a result moms of many newly diagnosed Autistic kids have started asking me for tips and suggestions and anything that they can use to help their children. I was lucky that my daughter just had PDD-NOS and not classic Autism. Although her diagnosis of PDD-NOS means she’s split between the two worlds: the world of Neurotypicals and the world of Autism. Autism is Autism no matter on which point of Autism a child stands. For the Autism world my daughter may be close to NTs but for me handling her daily issues is still a constant drag and top priority due to which my NT child has to suffer sometimes. To the NT world she may have behavior issues and milestone delays but for me she can read and learn just like any other NT child it’s just her behavior that goes wayward because of being on the spectrum. I take her to mainstream school in the morning, stay with her in the class as a shadow teacher then cater to her Speech Therapy needs by taking her to her speech sessions. But the training doesn’t stop there. It’s an ongoing process. I’m grateful it’s just PDD-NOS! I’m thankful to Almighty Allah that she listens to me and that I’m able to keep her in check but that doesn’t mean that her Autism would ever go away. As she grows older she might learn to control her behaviors but that only time will tell. For now I’m glued to her 24/7. For now I can just share all the tips and tricks that helped my daughter so far without any guarantee that they would prove as effective for other kids as these were for her. In the present day there are a number of groups and pages and blogs that connect parents of ASD kids in various ways. Having something close to home was what was lacking. That’s the niche I am trying to target. To provide a platform for all SN parents in my region through which they can connect, share and learn from one another. In the next blog(s) I would be answering questions that have been recently asked in the hope that someone might benefit from them. Here I’d like to emphasize again that anything I share and/or suggest is based on my personal experiences and in no way can take place of a certified therapist! NT vs SN hospital encounter! Those who have been following my blog since the beginning of its existence must be used to my posts about hospital visits. To them this should not come as a surprise that this very post too is about an incident I witnessed in the hospital ward. So Yusra has been vomiting since morning, we took her to the specialist right away who gave her medicines to be taken orally. The problem was how to give medicines when the child is constantly throwing up? After trying different strategies and home remedies at home we finally had to bring her to ER for hydration. Something which we eventually have to do and are always prepared for. Having had the ‘bad-luck’ of experiencing many hospital stays, Y was quite skeptical upon seeing the Officer’s ward, nurses and the hospital bed. She knew what was coming and so was not even sitting on the bed while we waited for the nurse. Nurse: ‘not at all but if you don’t allow me to pass the cannula your vomiting won’t stop’. Then the problem was the belt tied around her wrist so as to find a suitable vein was too tight for her liking. This went on for a while then thankfully the girl agreed to behave and let the nurse do his job. The cannula was passed. Nurse: ‘See! It didn’t hurt at all, did it?’. The nurse slows it down a tad bit and goes away. The girl bugged her dad’s head off to make it go as slow as possible. After a while nurse brings a blanket. So the father is sitting next to her while the girl has finally dozed off to sleep and here I am sitting with my daughter on the next bed thinking if only my girl could express her feelings properly, verbally, that’s all she was going to say and do too. And here I am wishing that she could tell me where it’s hurting, how is she feeling? How much does it hurt for every time she gets pricked by a needle? Which foods, and smells make her nauseous, which ones don’t? Which medicines are good in taste and which ones are yucky? How slow or fast should the IV fluids injected so as not to make her uncomfortable? Now that the girl is asleep Yusra too has acknowledged this fact and is saying ‘Girl neeno (her word for sleeping)’. And yes she has also told me, ‘Nurse, hospital, injection, Patti (bandage). Doctor check check (pointing to the doc’s stethoscope)’. While my Yusra may not know how to make a proper conversation or to express her self or her feelings, she still is talkative enough to communicate what’s on her mind. Many ASD children can’t even do that! Remember though even no two ASD individuals are alike so this is just my daughter’s story! I just wanted to share the experience of two girls, both getting an IV injection through a cannula but one NT (Neurotypical) and another SN (Special Needs) from a third-person’s eye!! Stay tuned for the next blog.